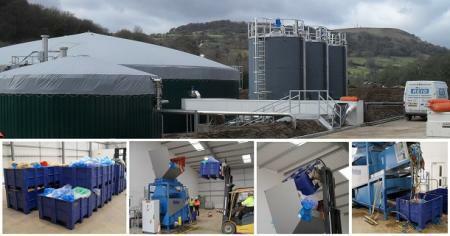 The AD plant is complete with de-packaging and pasteurisation equipment. 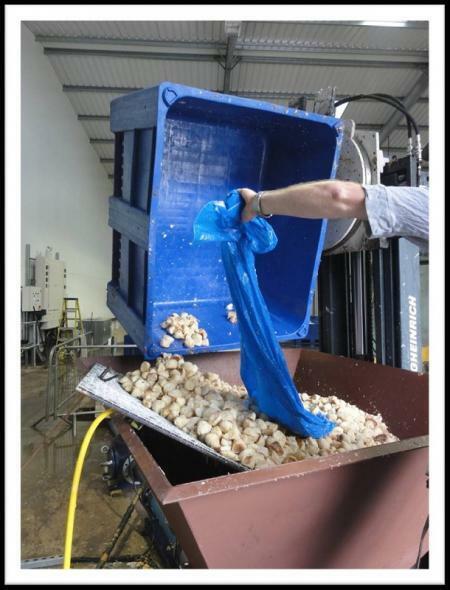 The de-packaging equipment is fed with packaged food in Dolavs and the separated waste food is pasteurised before being fed into the digester. The retrieved packaging will be recycled as part of the food factory's 2015 zero landfill target. The new AD plant was developed by InSource Energy who partnered with Premier Foods' RF Brookes ready-meal facility at Rogerstone, near Newport. Its sole purpose is to deliver on-site AD to treat manufacturing food waste and help power the factory. The plant will provide significant savings in waste disposal and energy bills and reduce carbon emissions by around 8,500 tonnes per year. It is believed to be the first AD example in Wales of a factory being partially powered by its own waste. With the capacity to process up to 18,000 tonnes of unavoidable organic waste each year, the plant will generate 1.4 million cubic meters of methane-rich biogas with a thermal calorific value of 8.4MWh. The biogas is converted via a combined heat and power engine (CHP) into electricity and heat which are used in the RF Brookes manufacturing process. It will be enough energy to displace ten percent of the factory's fossil-fuel load. The other main AD process output is nutrient-rich digestate. It is de-watered and supplied to a local farm as a PAS110 compliant organic fertiliser. Dolavs have been an integral part of the process from the beginning at the £5m InSource Energy plant at Rogerstone Newport where factory food via AD provides up to 10 percent of the factory's energy. This is the only completely closed-loop system in UK and possibly in the world. Dolav UK general manager, Maria Plastow said, "We developed the hygienic Dolav Ace box pallet in food-grade plastic specifically for handling food and food waste throughout food processing so we are delighted Insource Energy selected it for its excellent new AD facility. For other AD plants we have now added options including lids which seal and lock, castors which allow stacking and drain taps for liquids."